740 Y-P induces the generation of M6PR-positive puncta which is similar to the sucrose-induced vacuoles. 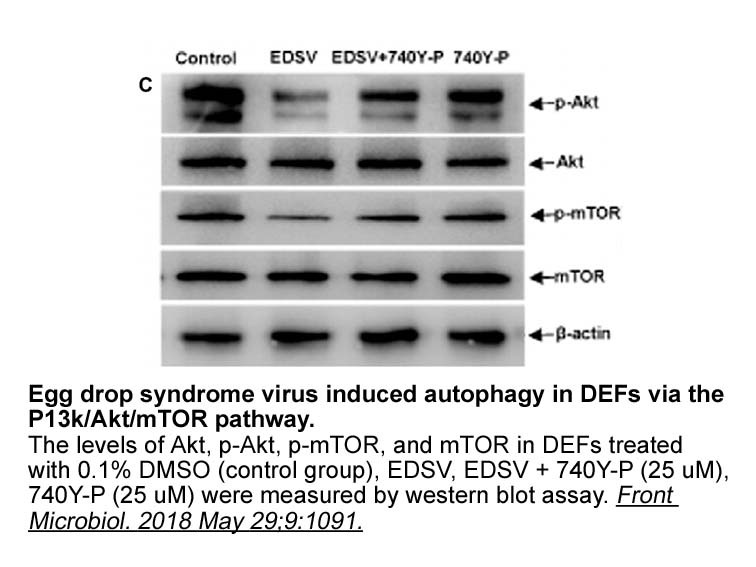 740 Y-P also prominently reduces the number of M6PR-positive vacuoles triggers by the sucrose treatment. 1. Bin BH, Bhin J, Yang SH et al. Hyperosmotic stress reduces melanin production by altering melanosome formation. PLoS One. 2014 Aug 29;9(8):e105965. 740 Y-P is an activator of PI3K with concentration of 20 μM . 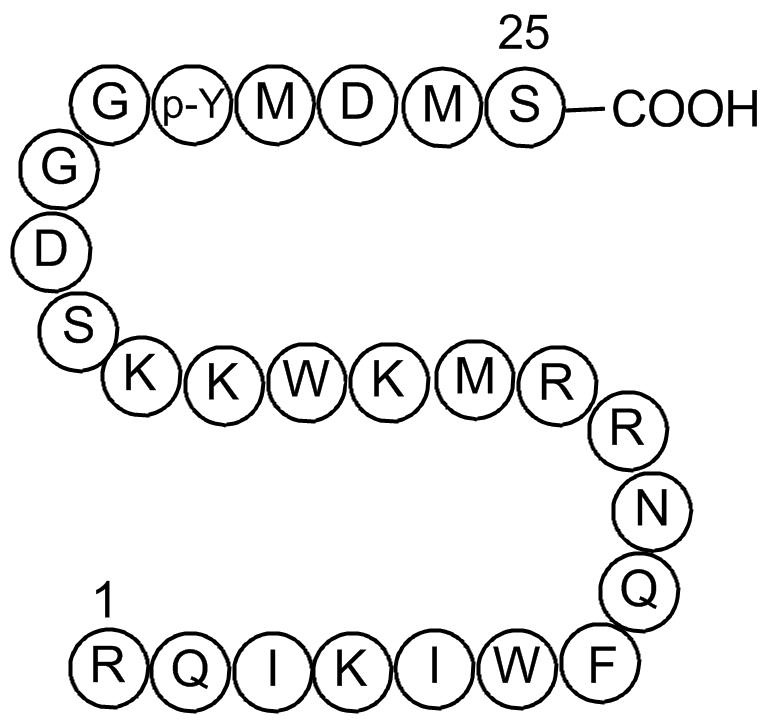 PI3K (phosphoinositide 3-kinases, PI3Ks) is an enzyme and plays an important role in the fundamental cellular processes, such as vesicular trafficking, cell degranulation, cell migration, and glucose transporter. It has been reported that over-expression of PI3K was correlated with a variety kind of cancers . 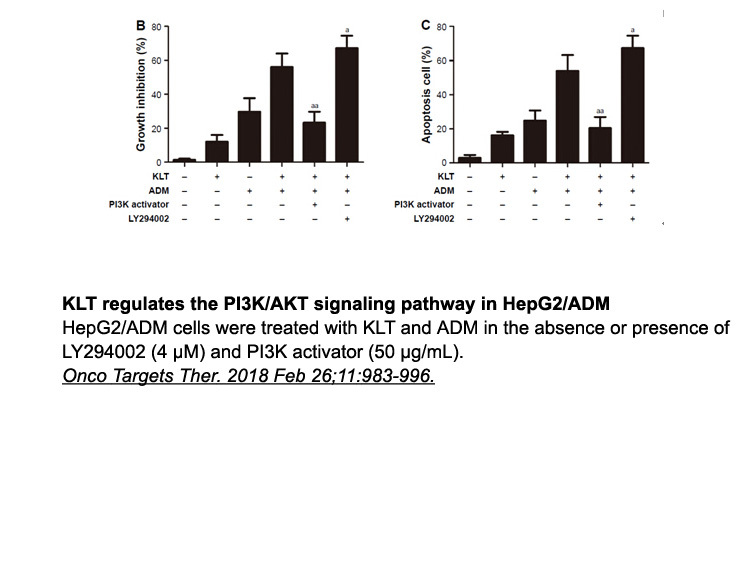 740 Y-P is a potent PI3K activator and plays an important role in PI3K/AKT signaling pathway. 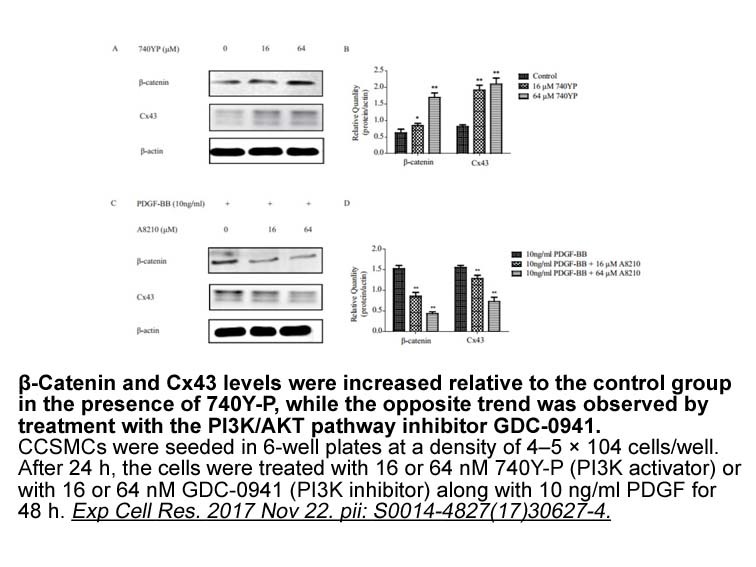 When tested with human melanoma MNT-1 cells, 20 μM 740 Y-P for 24 hours treatment significantly reduced the number of M6PR-positive vacuoles induced by sucrose via activating PI3K . 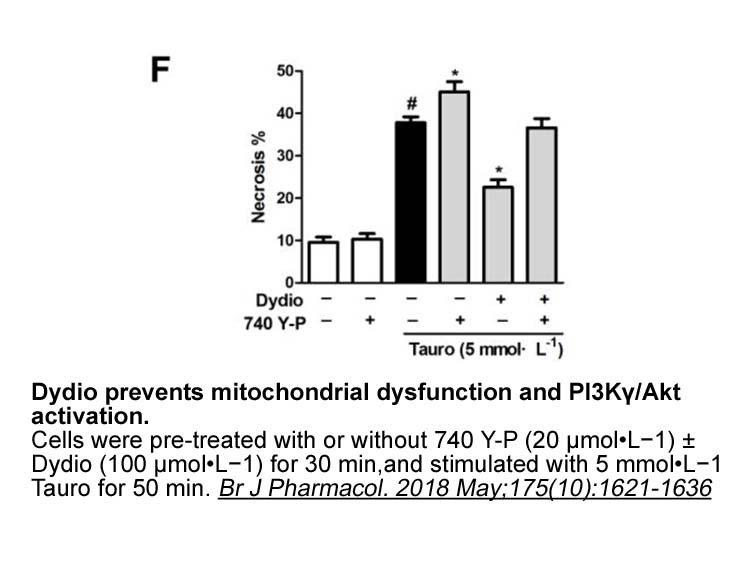 In cerebellar granule cells in the circumstance of serum deprivation, 740 Y-P treatments reduced the cell death rate via binding to p85 which was correlated with PI 3-kinase-dependent phosphorylation of Akt process .
. Bin, B.H., et al., Hyperosmotic stress reduces melanin production by altering melanosome formation. PLoS One, 2014. 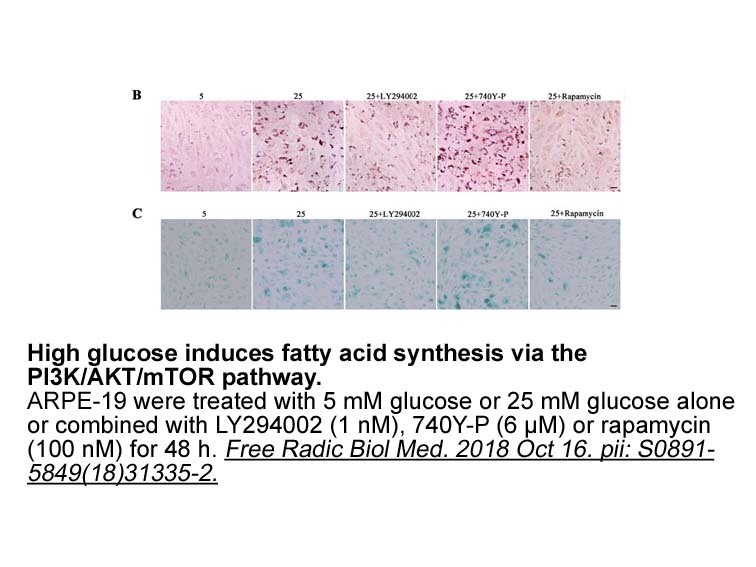 9(8): p. e105965.
. Kong, B., et al., A subset of metastatic pancreatic ductal adenocarcinomas depends quantitatively on oncogenic Kras/Mek/Erk-induced hyperactive mTOR signalling. Gut, 2015.
. Williams, E.J. and P. Doherty, Evidence for and against a pivotal role of PI 3-kinase in a neuronal cell survival pathway. Mol Cell Neurosci, 1999. 13(4): p. 272-80.